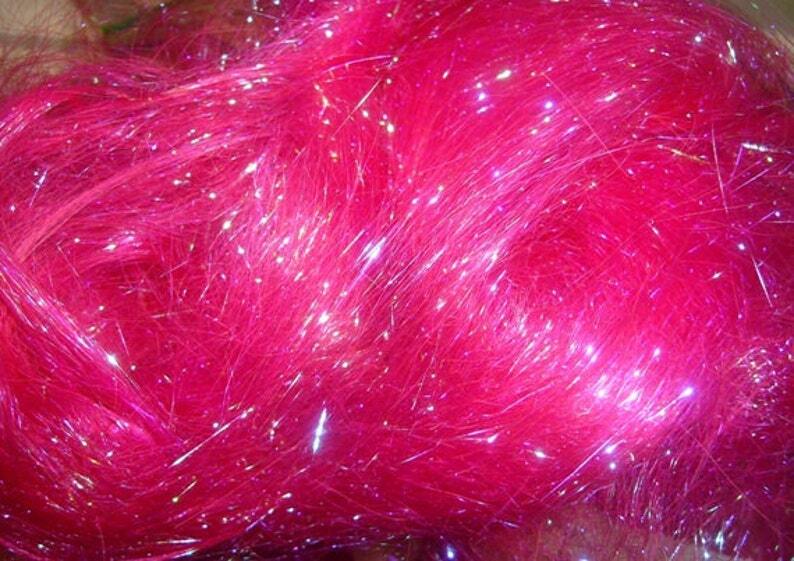 This is for 1/2 once of Raspberry Sparkle Angelina Glitz. 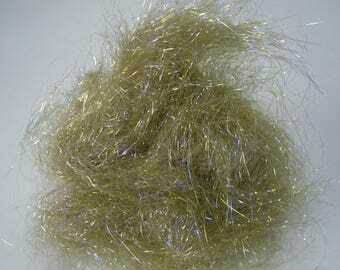 This is a very nice fiber it is Easy to blend with other fibers. This Angelina Flash is shimmering, it has Very nice color shade. You can blend and have a great batt to spin into yarn or you can blend It with the fiber for any felting project. All you need is just very little of it to make a Beautiful Creation. A nice selection of fibers, leaning on the purple side. I’m looking forward to playing wit the dyed locks included in my bag! Very soft roving and gorgeous color. Fun spinning today! Yes, It arrived! See what I create with it @ www.Facebook.com/SnakeRiverSilkandBeadStudio. I just carded some today! Spinning Now! Love!